Price is the only thing stopping me at this point…looking to save up a bit. I love mine! Definitely minimize the eye-strain after a long day. Our insurance currently allows for two pairs of prescription glasses per year. 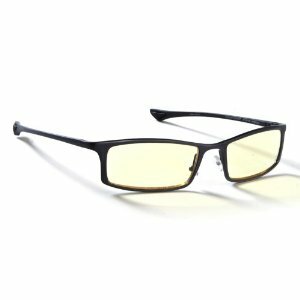 The doctor usually tells me my former prescription reading lenses will work well for computer (when they’re no longer helpful for other reading) but now I’m wondering if the prescription sources have yellow tint (or whatever is in the colorless version) to make my next prescription for computer use even better. Guess I’ll have to ask my doctor–but if you have any info about this, I’d be interested to hear it.